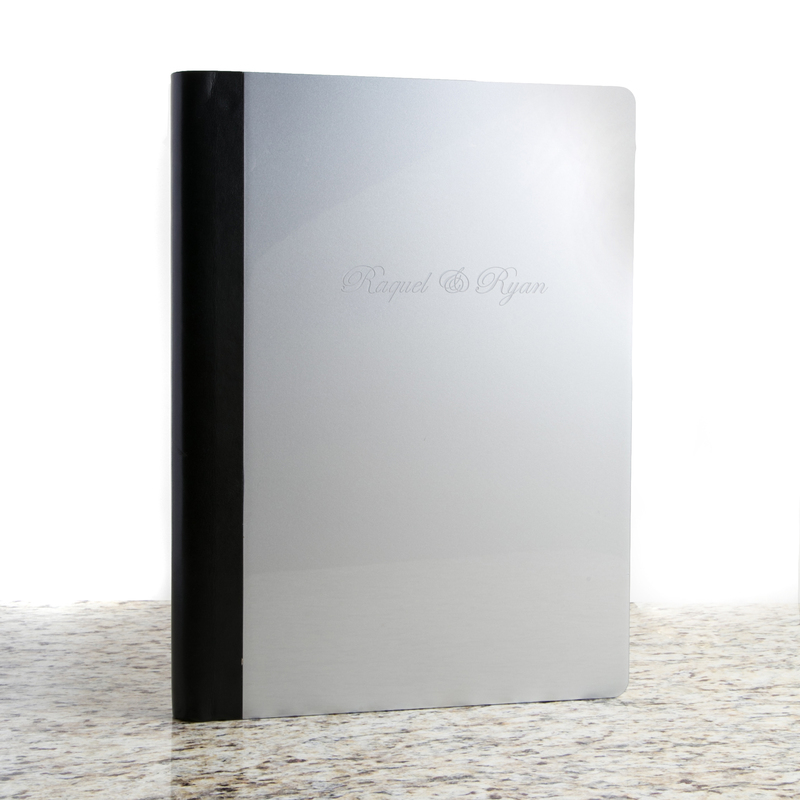 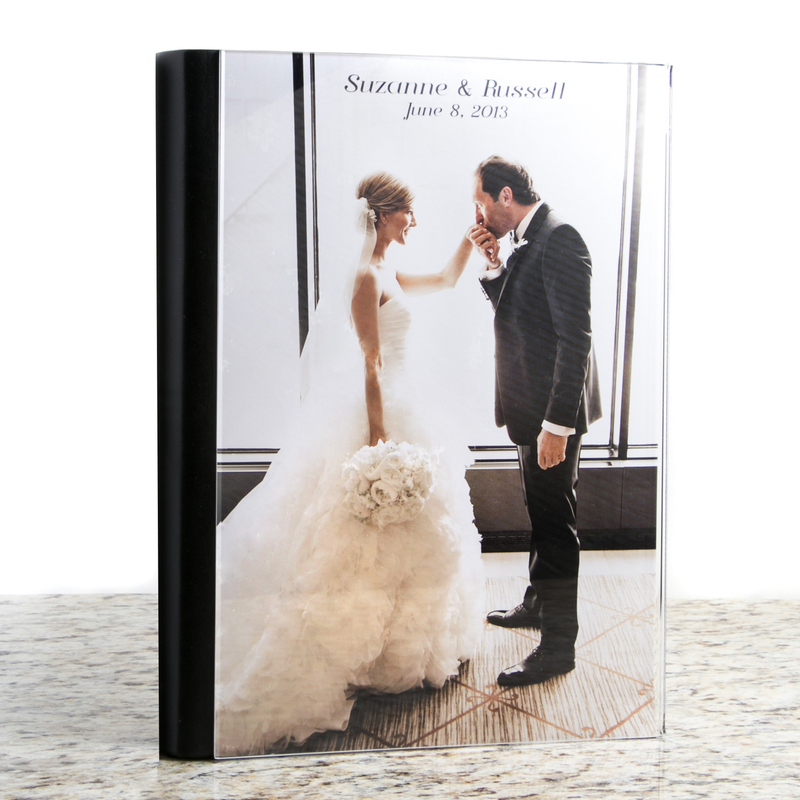 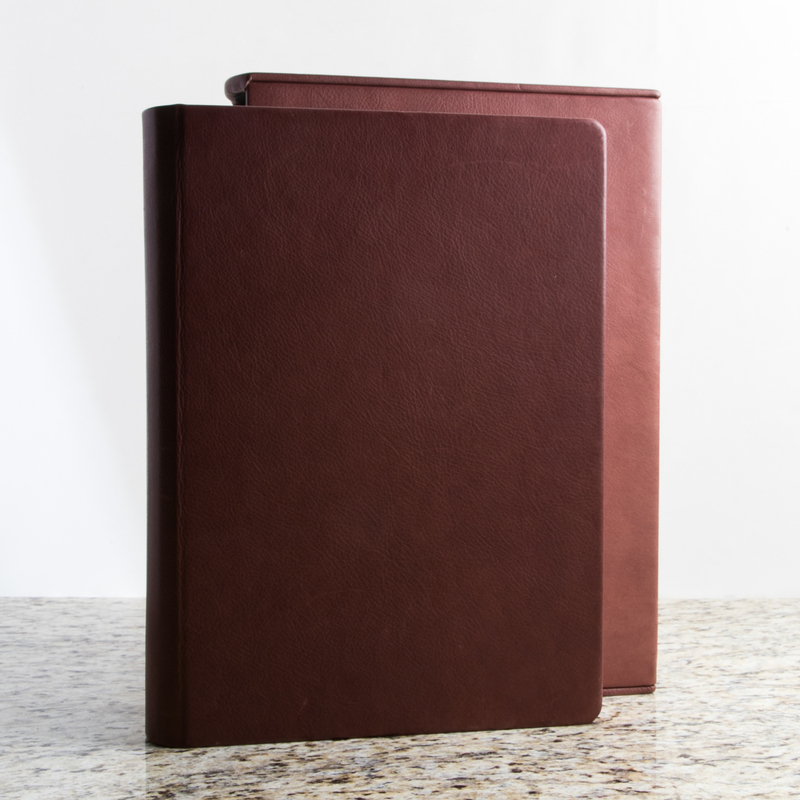 Choose from our stunning Italian line of wedding albums or our classic Photo Books. 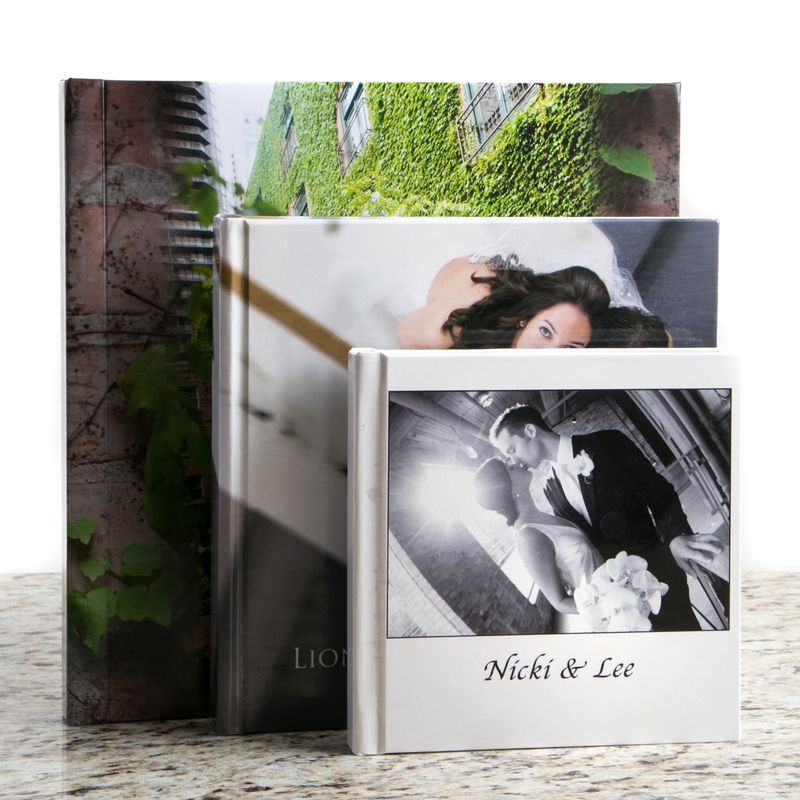 Your photography package will include a beautiful heirloom that you won’t want to put down! 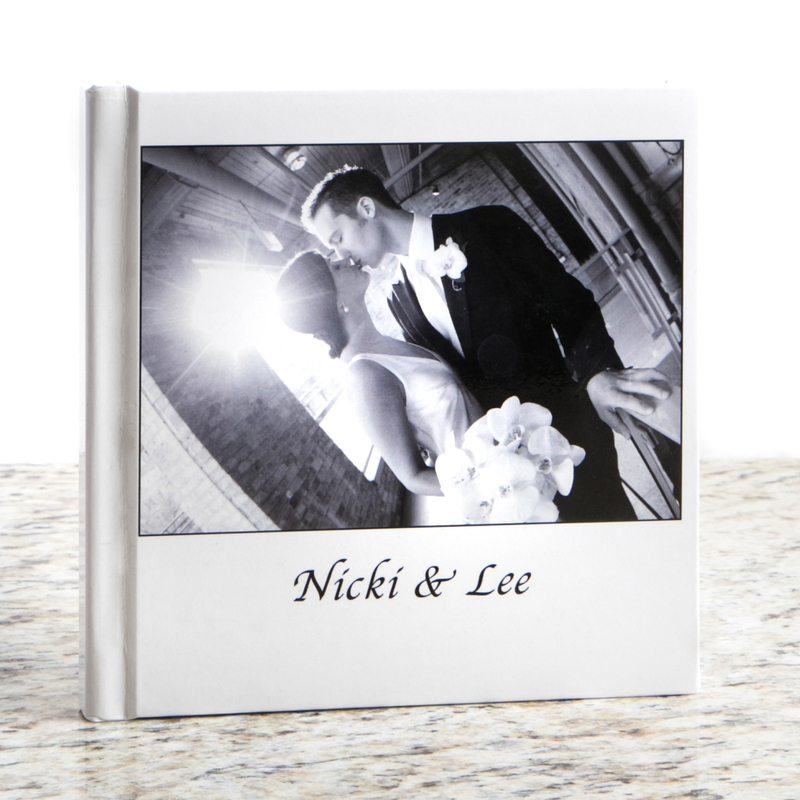 We expertly design your album, attending to the smallest custom details that showcase your unique wedding day. 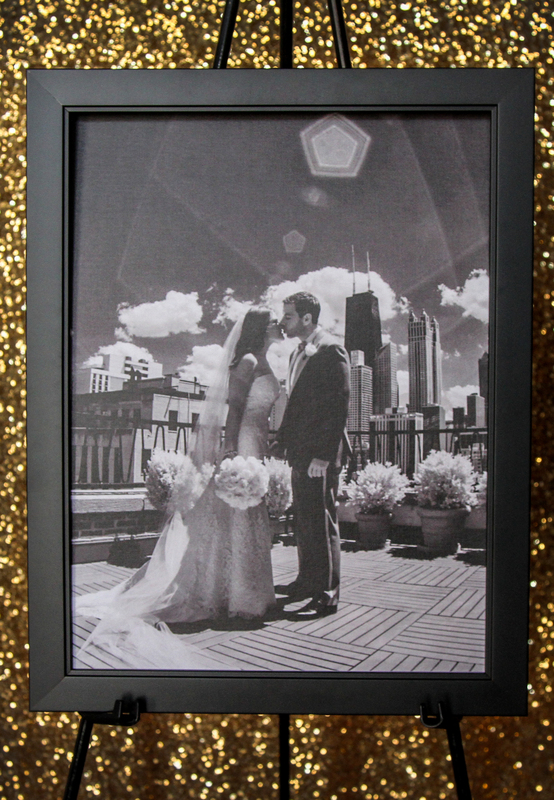 Being engaged is one of the most romantic times of your life. 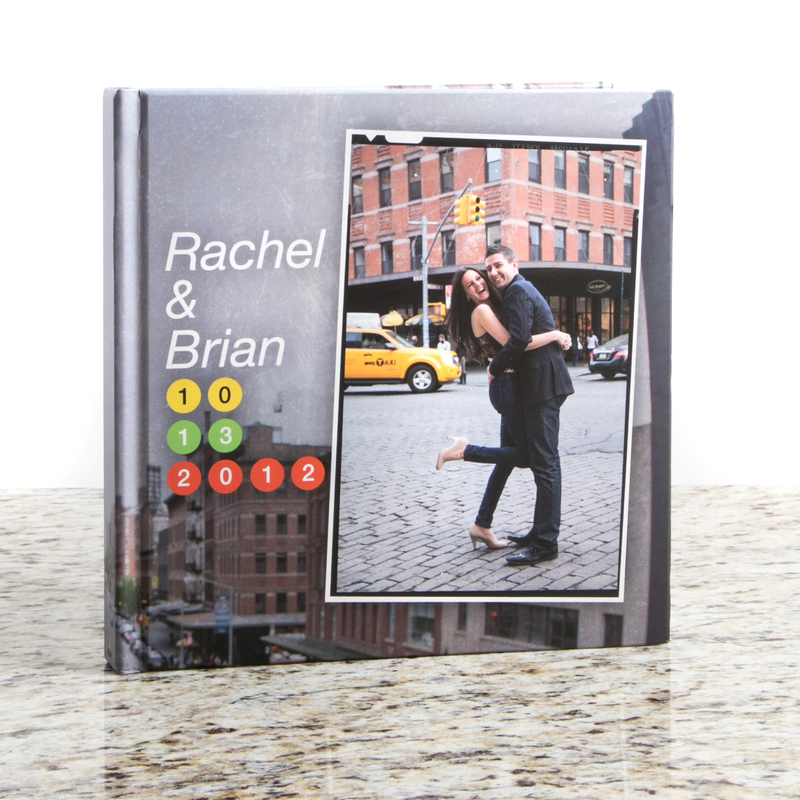 Showcase your special Engagement Session with a lovely Engagement Album. 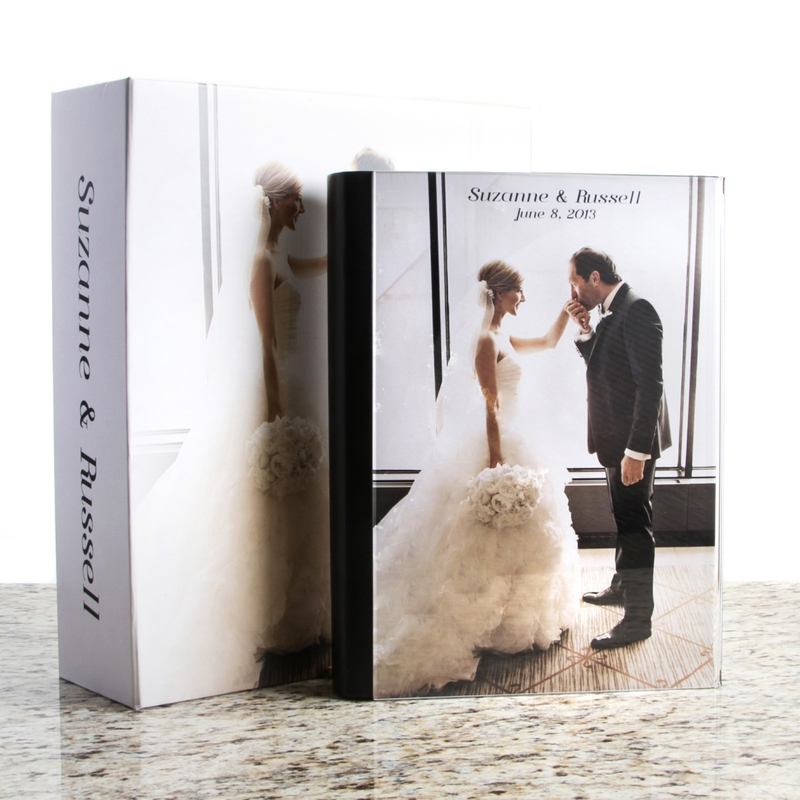 Choose between our Italian Soft Cover album presented in a custom colored presentation box, or share your images at your special event with the popular Guest Signature Book. 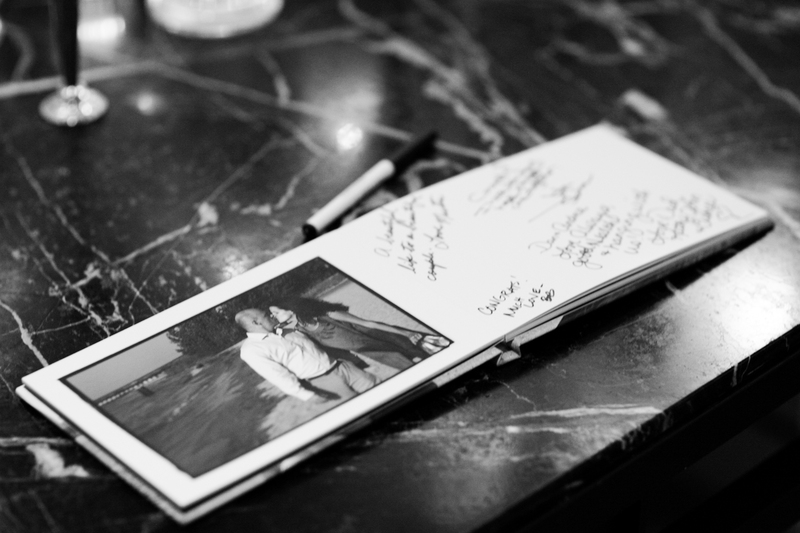 Either album will keep your memories alive for years to come. 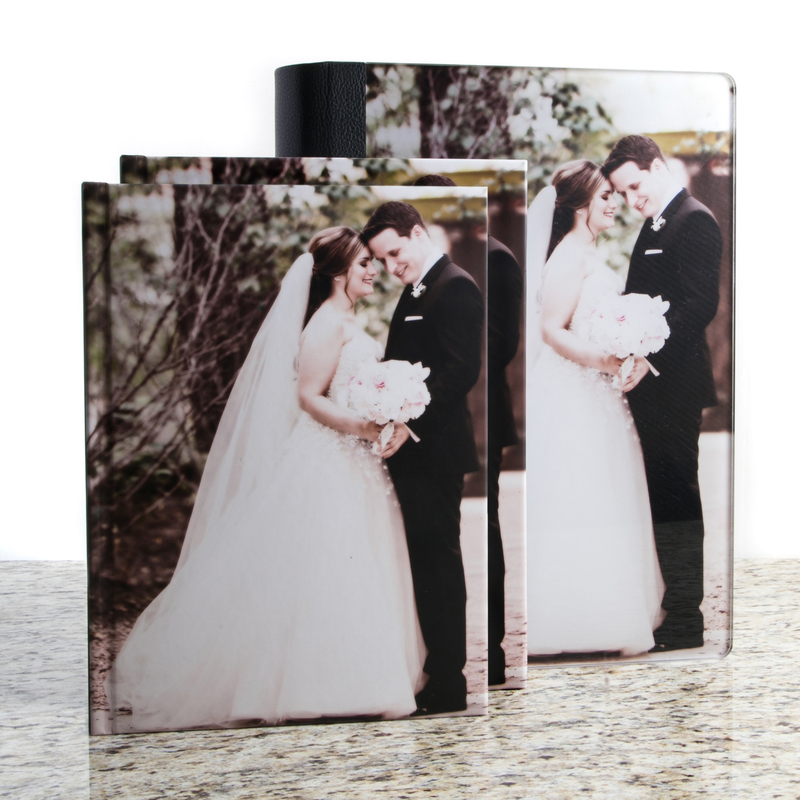 So many of our clients exclaim their love for our Wedding Slideshows! 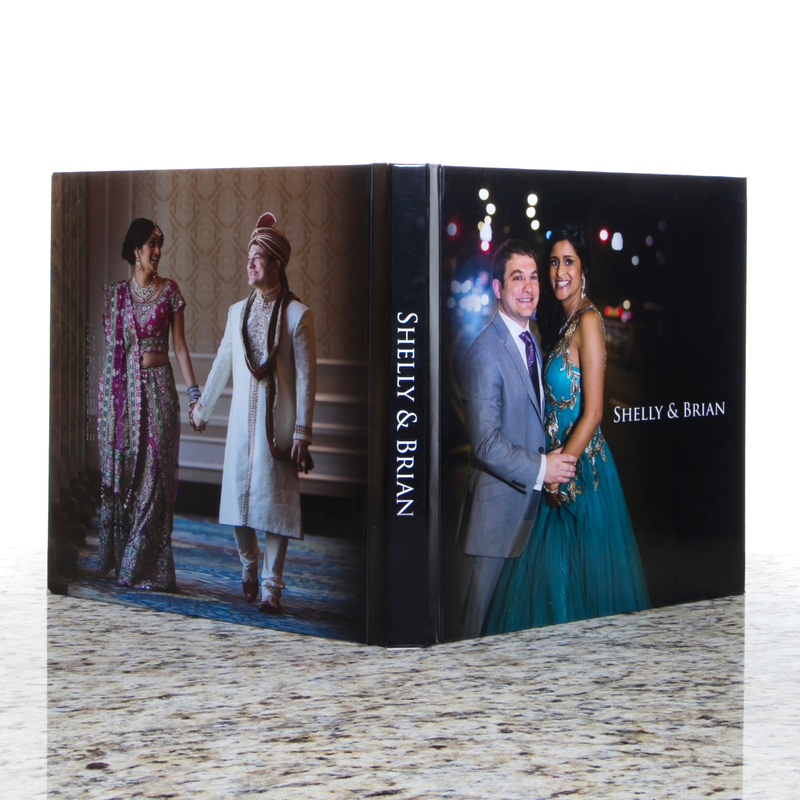 We design your slideshow with the most beautiful photos from your wedding and design it to tell the story of your big day – beginning to end. 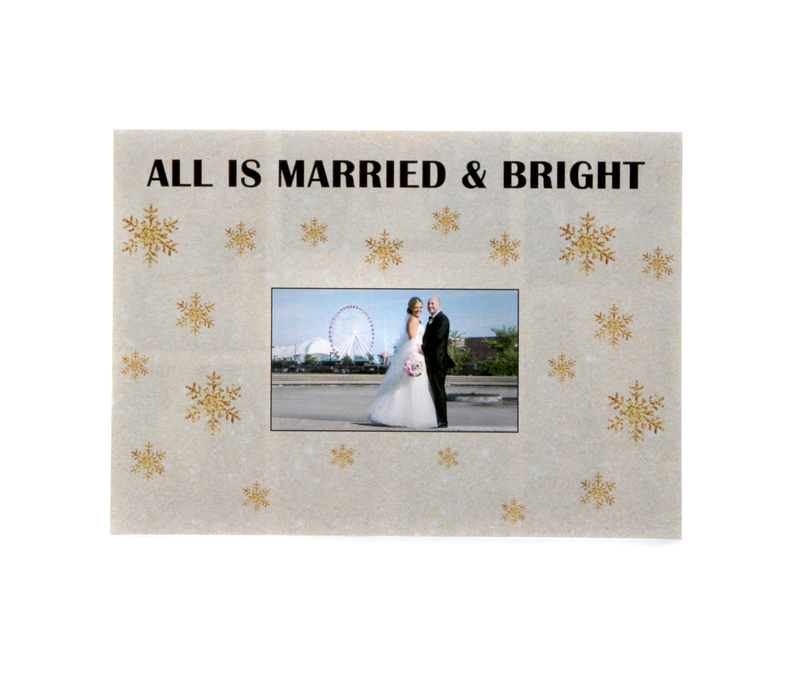 Share it with guests, post it on social media, or add a DVD Slideshow to your wedding package and enjoy it for years to come! 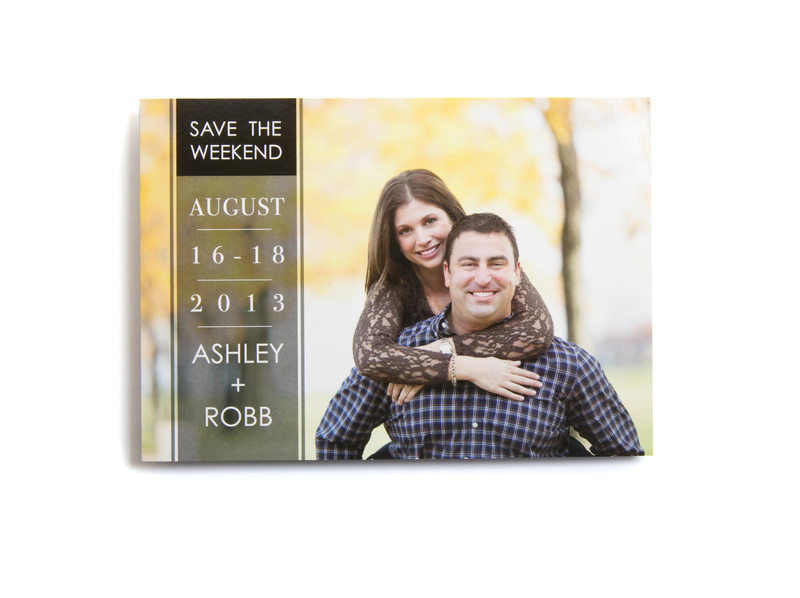 So many parties and so little time! 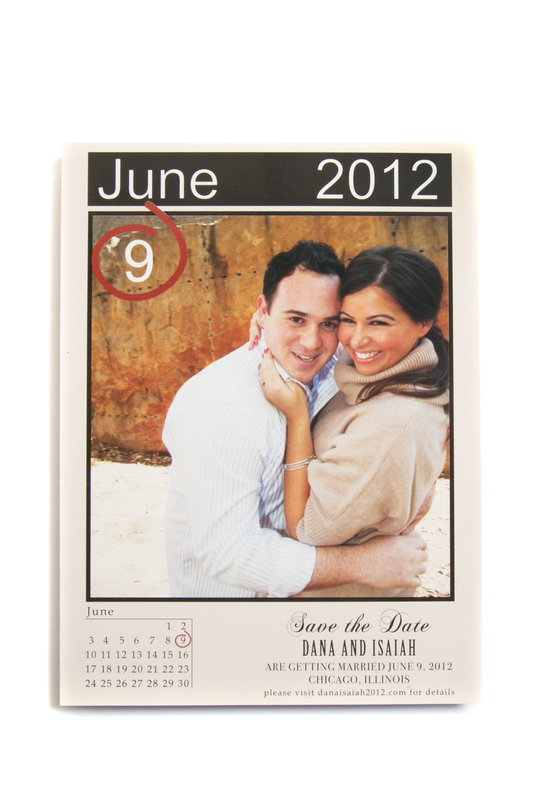 Include Save the Date cards with your wedding package and our in-house designer will create it for you. 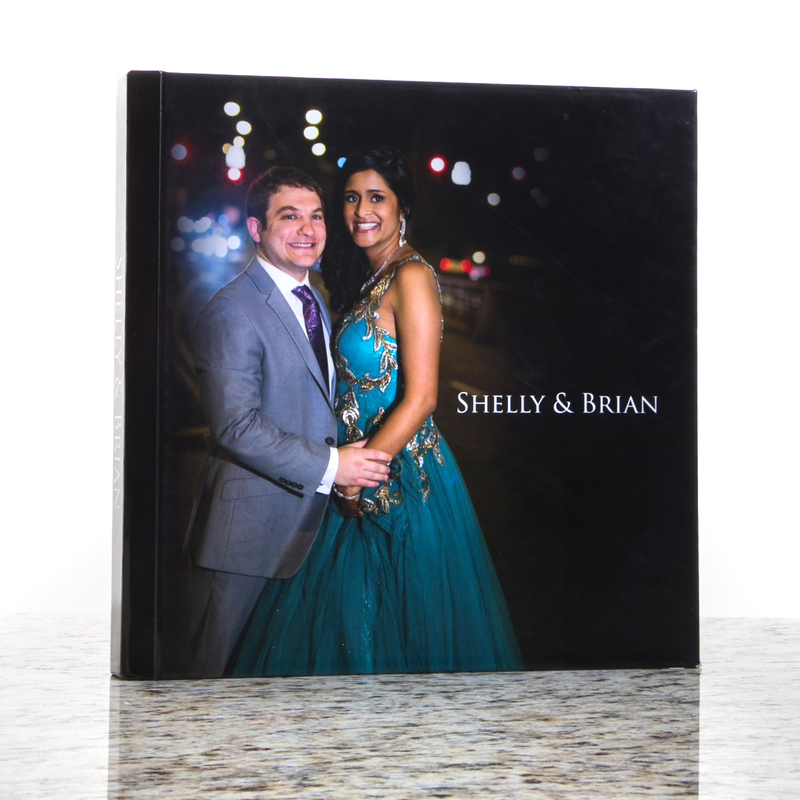 Guests will love seeing your favorite image from your Engagement Session and they will be sure to put your event at the top of their list! 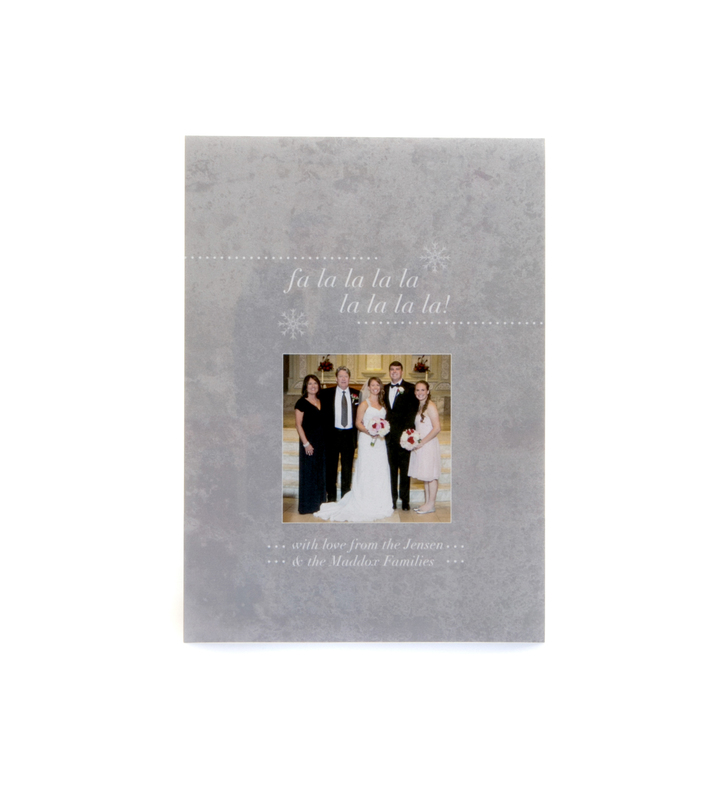 It’s never too early to plan for the holidays. 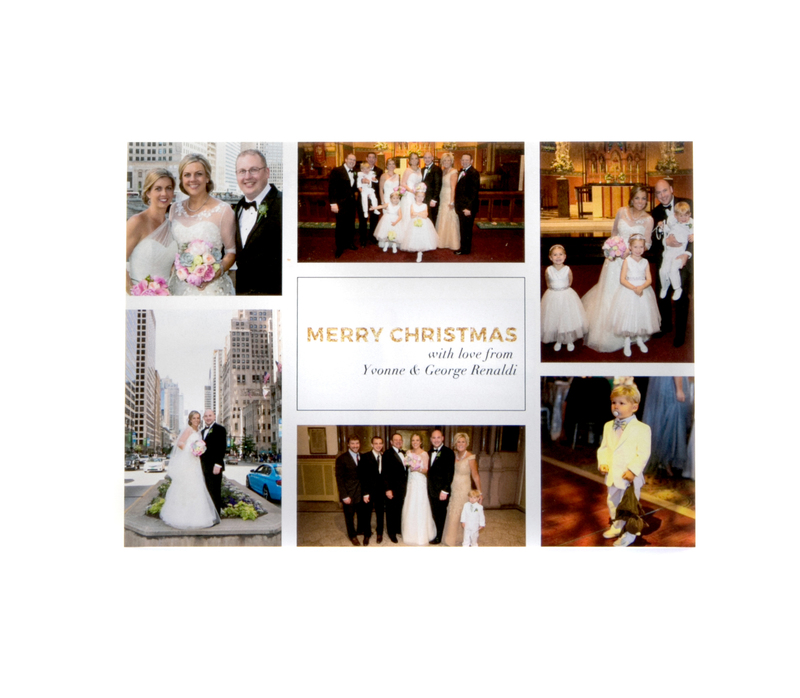 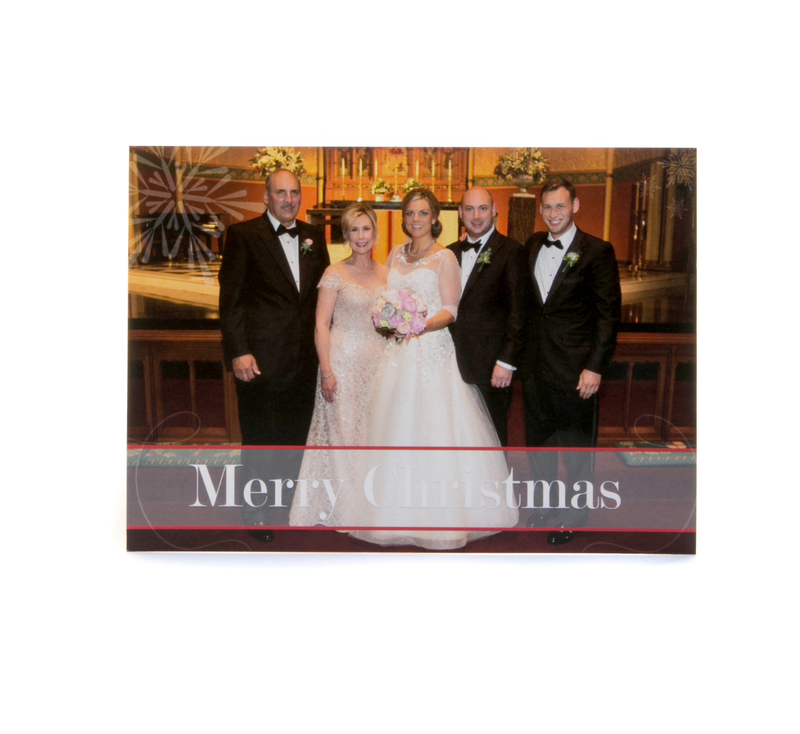 What better way to showcase your newest family picture or favorite wedding moment than to send it as a Holiday Card. 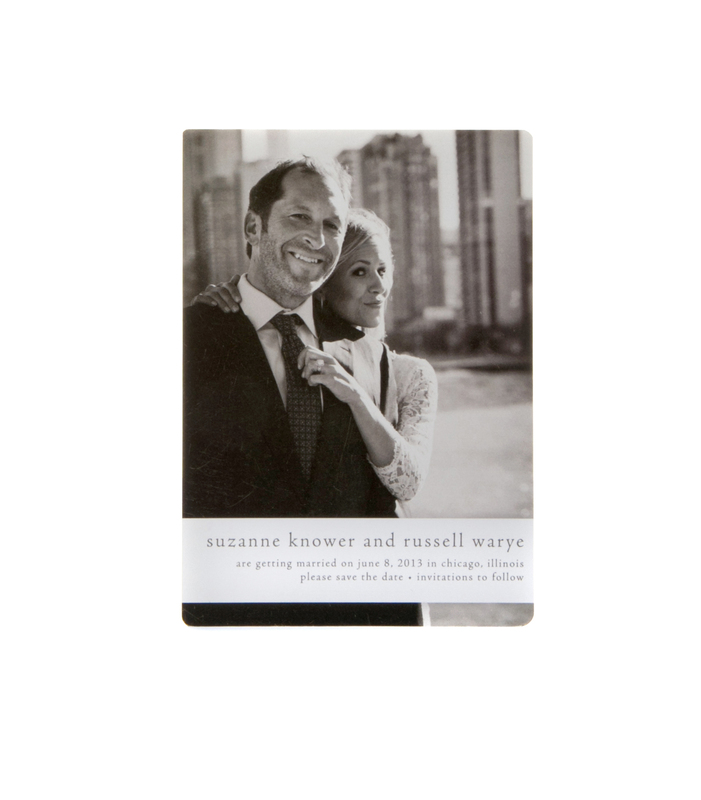 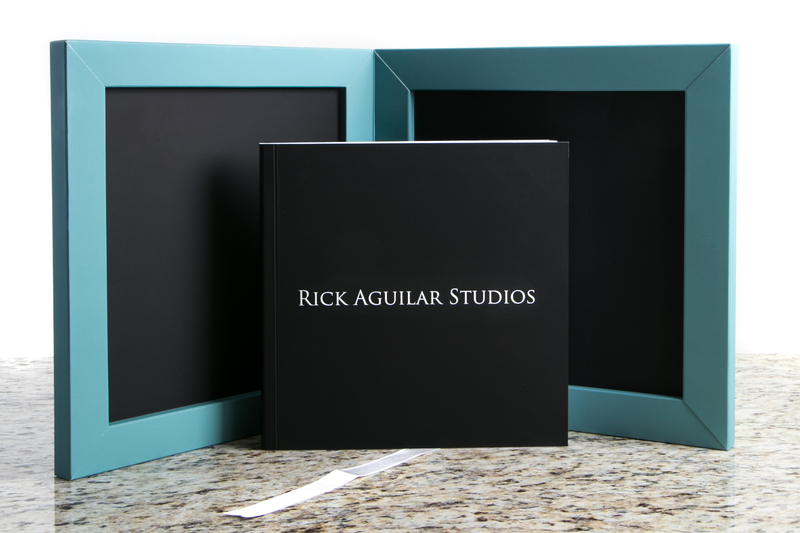 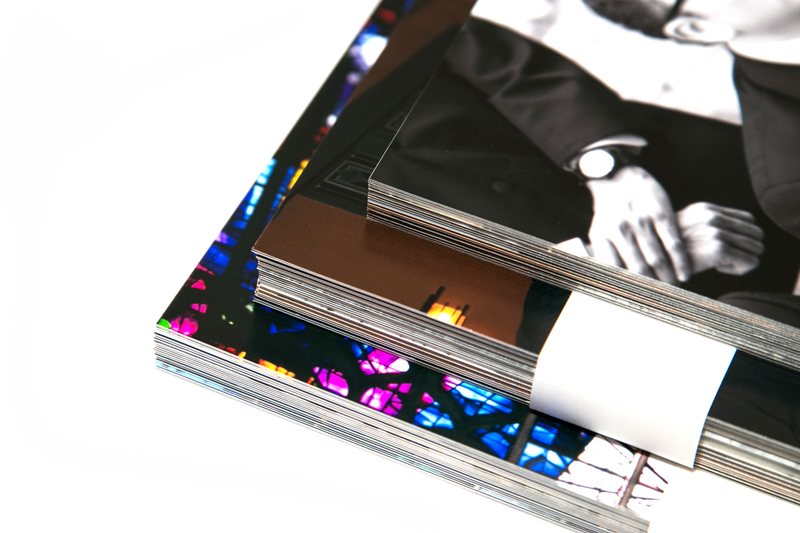 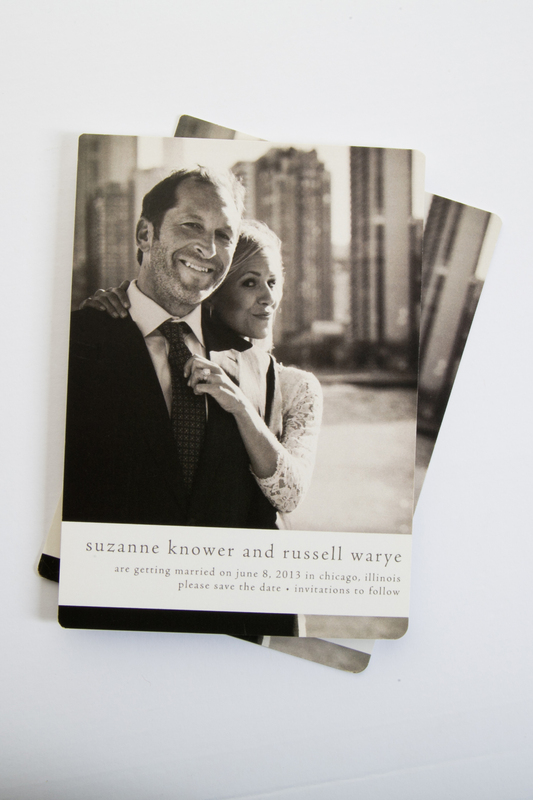 The studio offers a variety of layouts in a 5×7 flat card – two sided and printed on a quality pearl card stock. 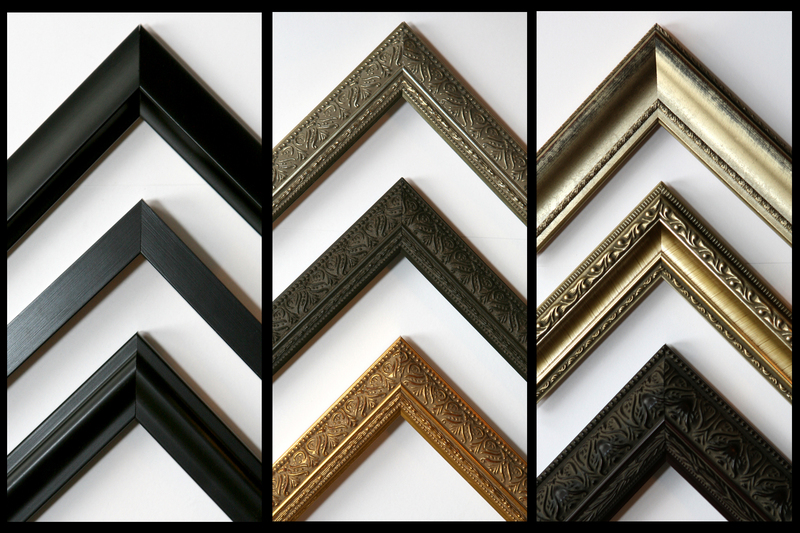 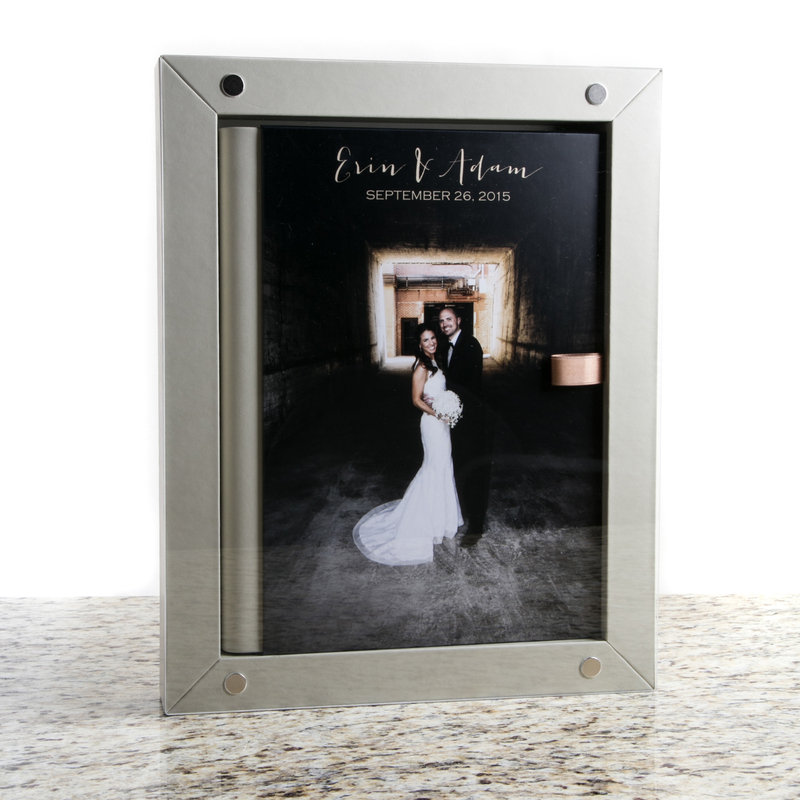 We consider our photographs to be works of art and you will too when decorating your home with a beautiful custom framed photo, Art Canvas or Acrylic Enlargement. 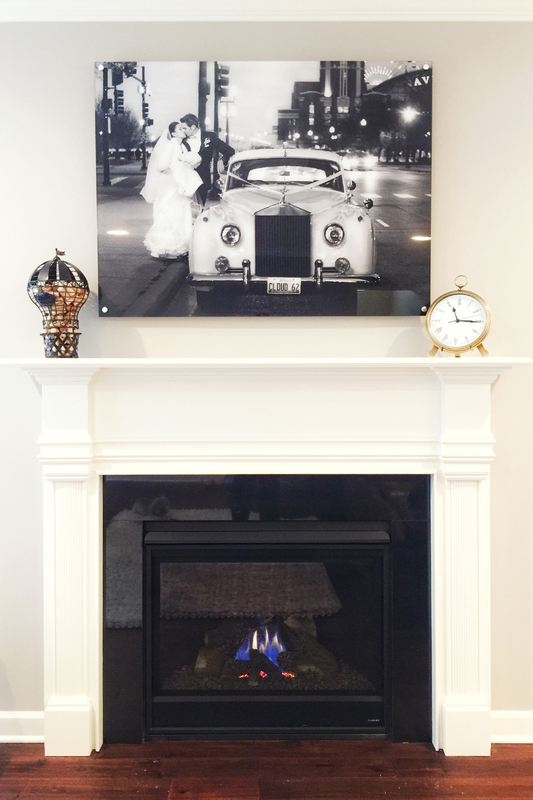 Our team is dedicated to creating art that catches your eye – from a classic black & white art print framed as a triptych, or a modern, sleek Acrylic Enlargement hung carefully above a mantle. 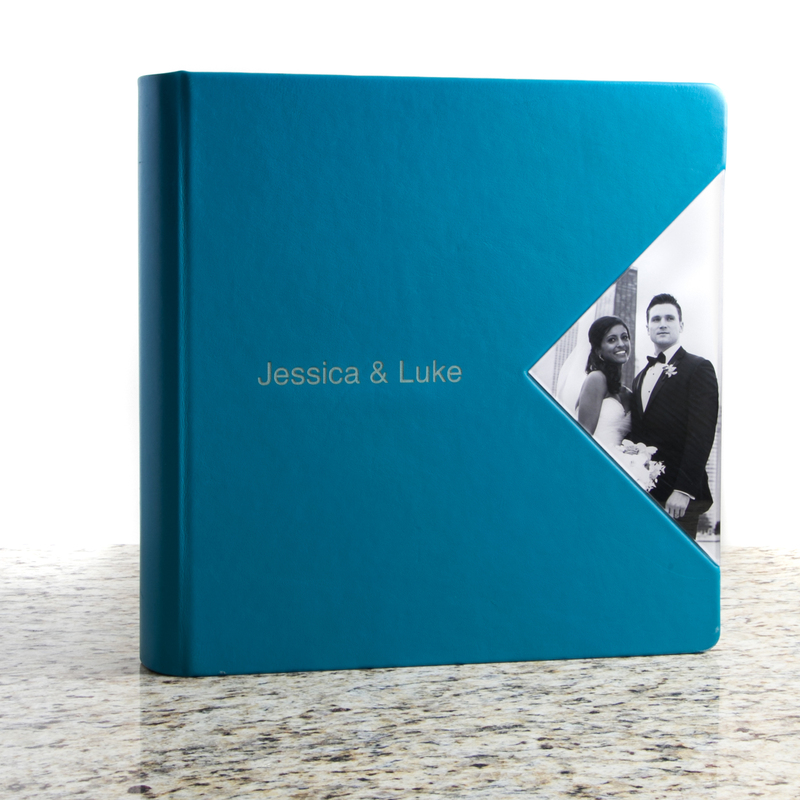 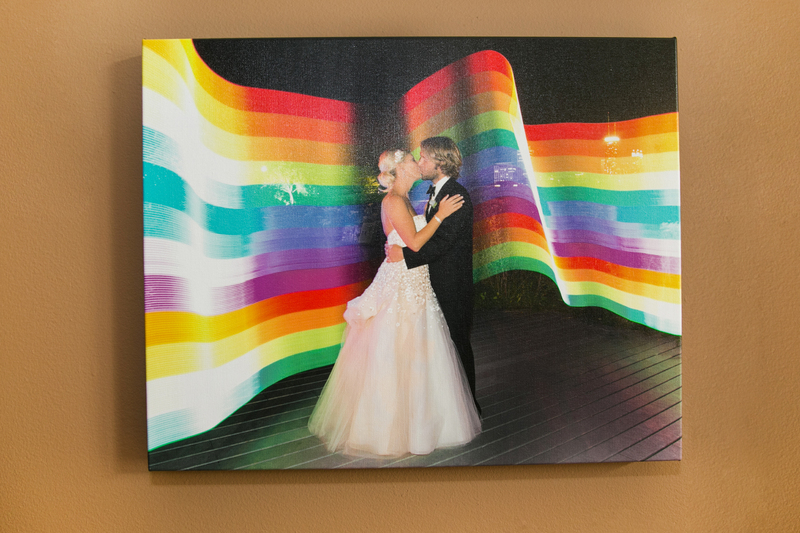 There are so many ways to showcase your signature wedding photo or family memory.